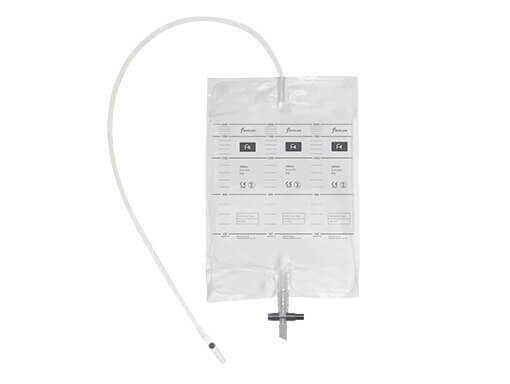 Flexicare’s F4, F4L and F4LS drainable urine bags provide a robust and versatile urine drainage solution for both hospital and community environments. All drainable 2L bags are fitted with a non-return valve as standard to prevent urine reflux and protect the user against ascending infection. 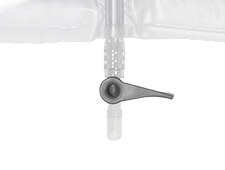 Both the lever tap and T-tap fitted to the F4 bags are simple and easy to operate. The lever tap requires a lower force to open and close the tap and this design is often preferred by the elderly or users with impaired dexterity. The wide bore drainage tube allows unimpaired flow of urine into the bag, optimising drainage and providing observation of urine flow. The tube is both firm and flexible affording comfort to the user. The F4LS side tap lowers the profile of the drainage bag and moves the tap clear of the floor to prevent accidental contamination and the risk of ascending infection. 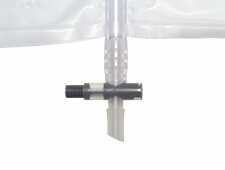 The needle-free sample port eliminates the risk of needle stick injury, whilst ensuring the bag is leak-free.